In large microwavable bowl, microwave 1/2 cup frosting uncovered 5 to 10 seconds or until frosting is thin. Beat in milk with whisk until blended. Stir in dry cake mix. Spread batter evenly in pan. 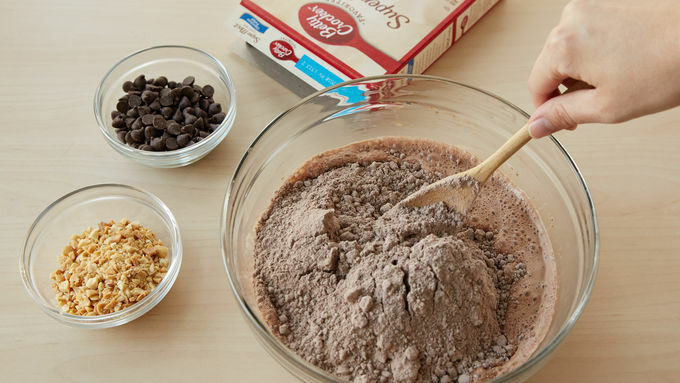 Sprinkle chocolate chips and 1/3 cup peanuts evenly on top. Bake 28 to 32 minutes or until toothpick inserted in center of cake comes out almost clean. Cool completely, about 1 hour 30 minutes. When ready to serve, spoon and spread whipped topping evenly over top of cooled cake. 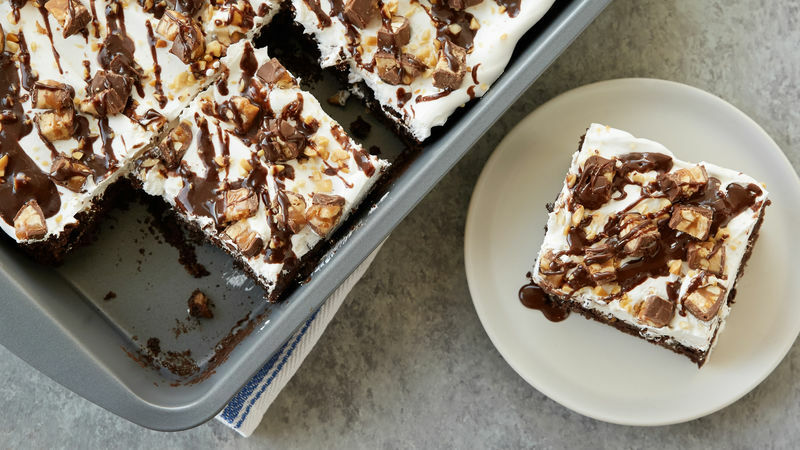 Sprinkle chopped candy bars and 2 tablespoons peanuts on top. In small microwavable bowl, microwave 1/4 cup frosting uncovered on High 10 to 15 seconds or until thin enough to drizzle. Using fork, drizzle warmed frosting over cake. Stored loosely covered in refrigerator. 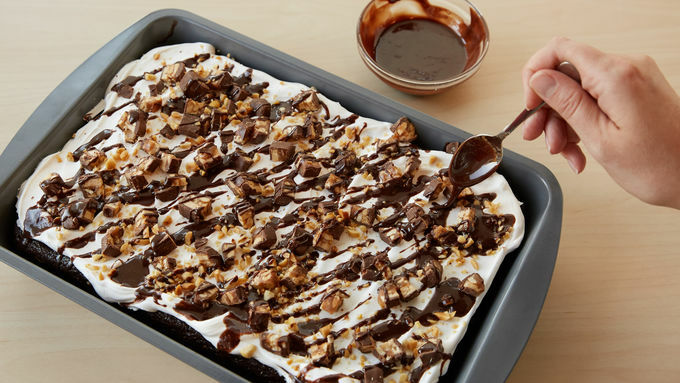 For extra indulgence, drizzle caramel sauce on top. For more chocolate flavor, try dark chocolate chips instead of semisweet.